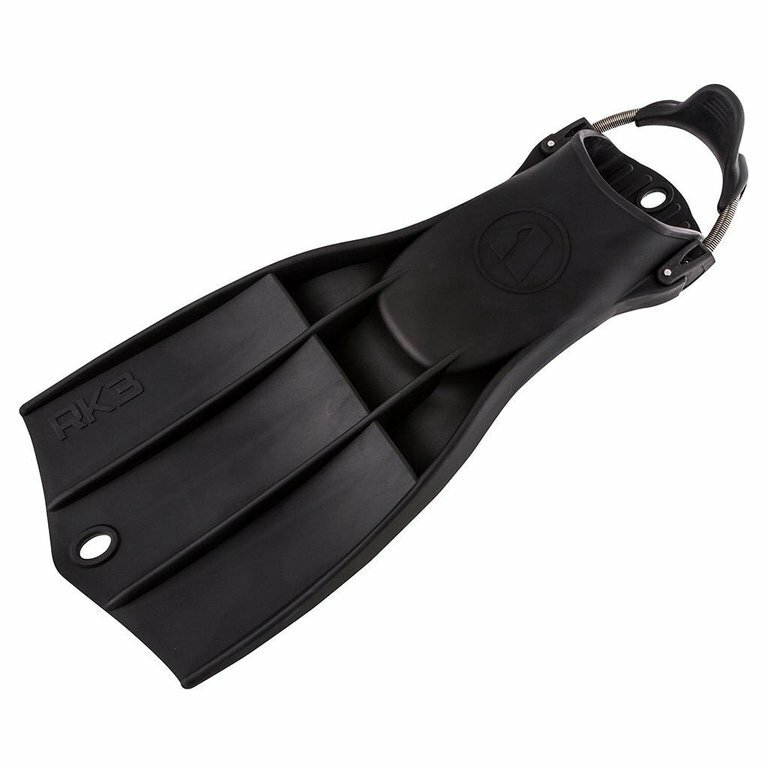 The Apeks RK3 is a rugged thermoplastic rubber fin featuring an oversized foot pocket to accommodate drysuit boots and a spring strap for easy donning and doffing. The thermoplastic rubber is essentially indestructible. It’s flexible, and very sturdy. 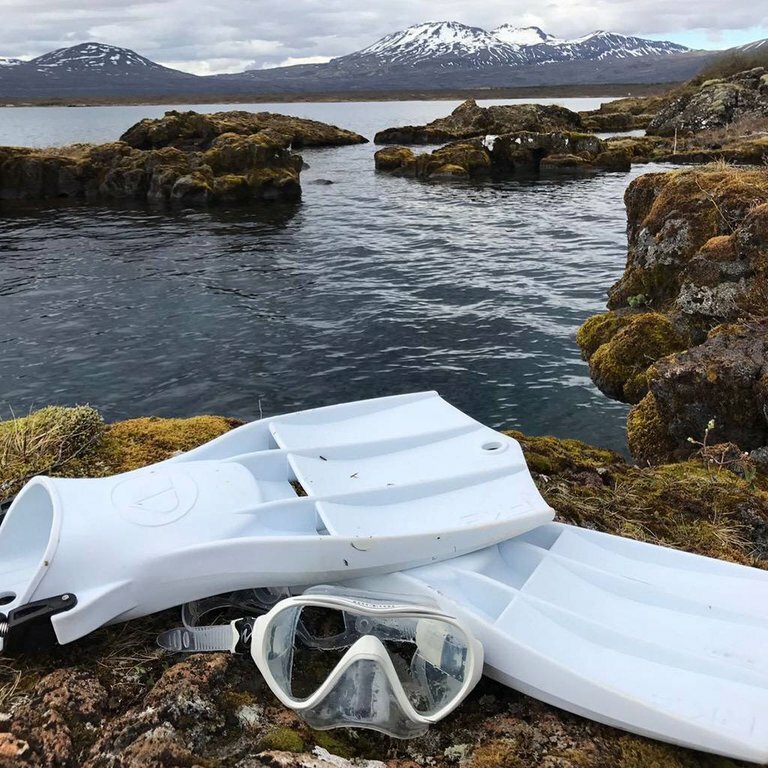 Perfect for both the recreational and the technical diver, in any condition. Use the RK3s in even the toughest of environments, and you won’t be disappointed. 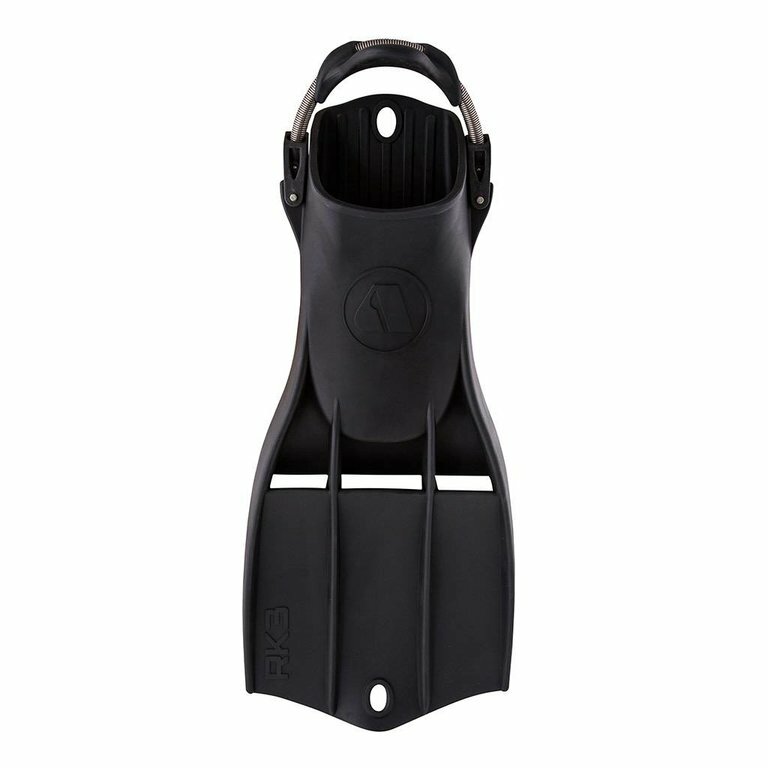 Short wide blade provides maximum forward thrust while maintaining great manoeuvrability, which makes it perfect for divers who use a breaststroke kick rather than a freestyle kick. Extremely durable and built to withstand the toughest environments, temperatures and abuse. Material provides remarkable propulsion. 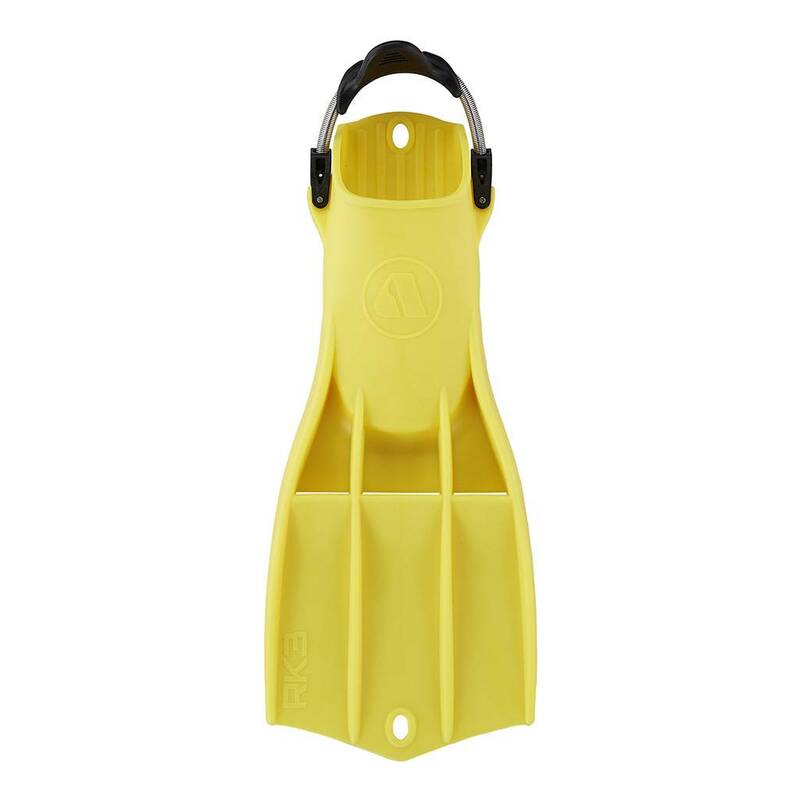 Size requirements vary depending on if they will be used with a drysuit boot or a wetsuit boot. 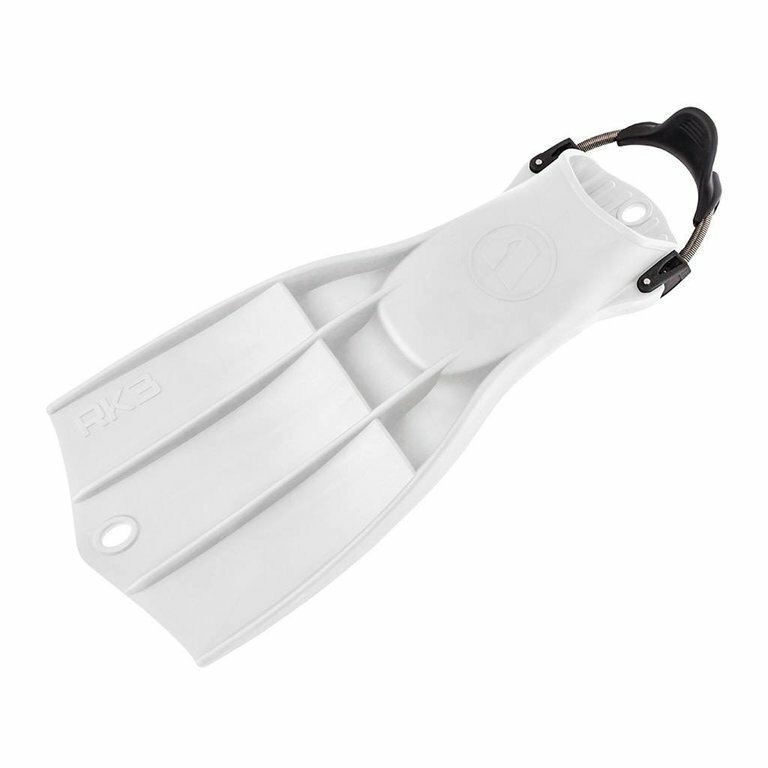 The RK3s feature a vented blade. This style of blade works with the diver to reduce resistance on the upstroke, which in turn will reduce the energy expended each time. Also, the vented blade allows for an enhanced thrust on the down stroke, giving you more power for little energy. The vents also work to eliminate vortexes along the back of the blade, making each stroke smooth and strong. The RK3s are also packed with features that make them some of the best fins in the industry. The fins are engineered with two large grommet holes at the tip of the blade. This was designed to fit a karabiner for easy storage when on the boat, at the hotel, in the car, or in storage. The RK3s also feature the all-new stainless steel spring straps, which makes donning and doffing a breeze. 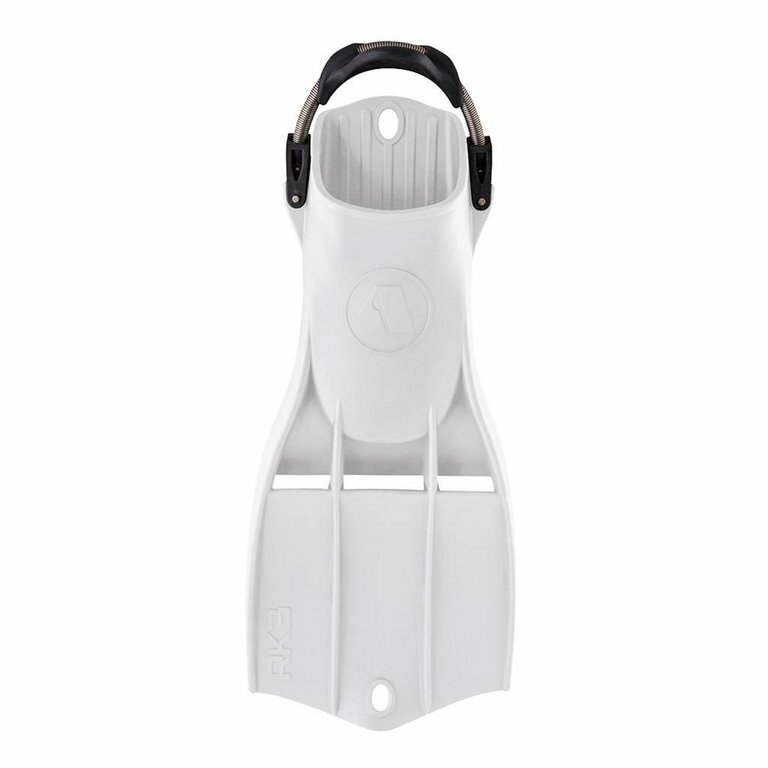 The buckles attached to the strap keep them securely in place between dives and while underwater. These buckles also allow the straps to be replaced if need be. 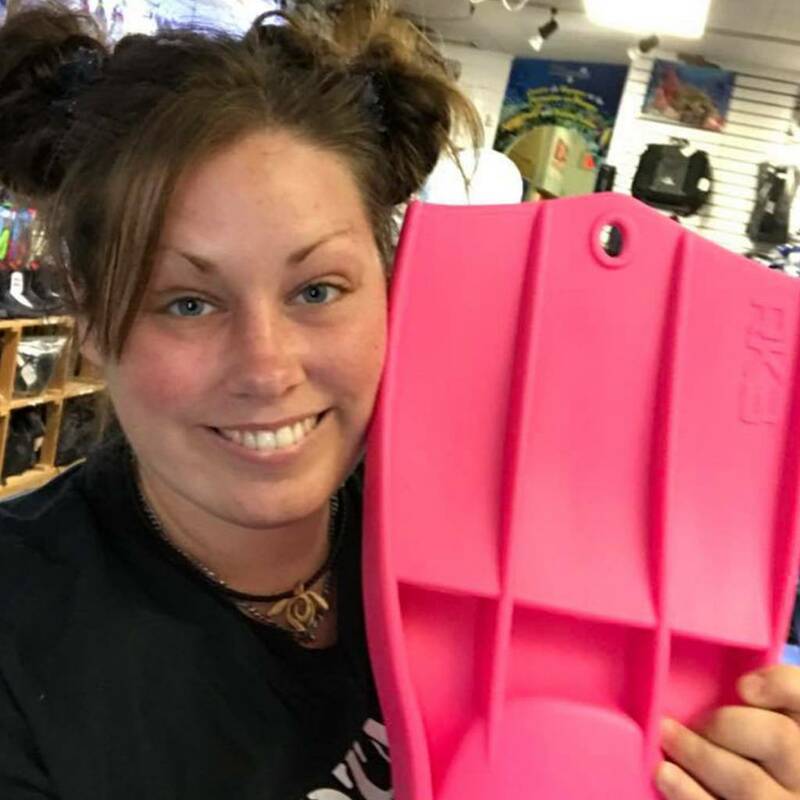 I am an instructor and I already have 4 pairs of fins but I tried these during a demo day... Now I own 5! I love these fins. 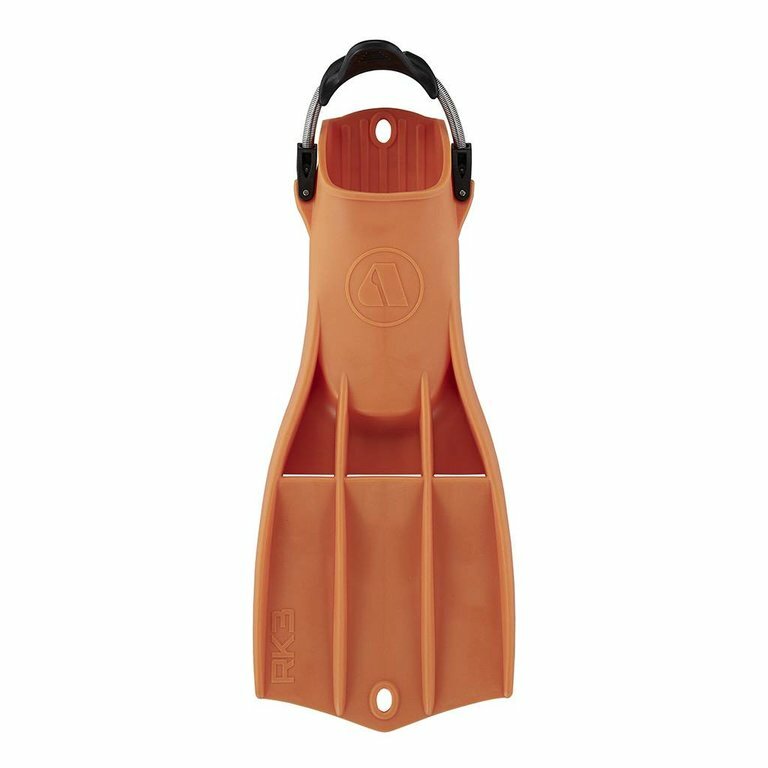 Light to carry and on your feet but powerful in the water. I love my RK3's they are light weight and neutrally bouyant, I get great propulsion and can easily reverse kick at will. 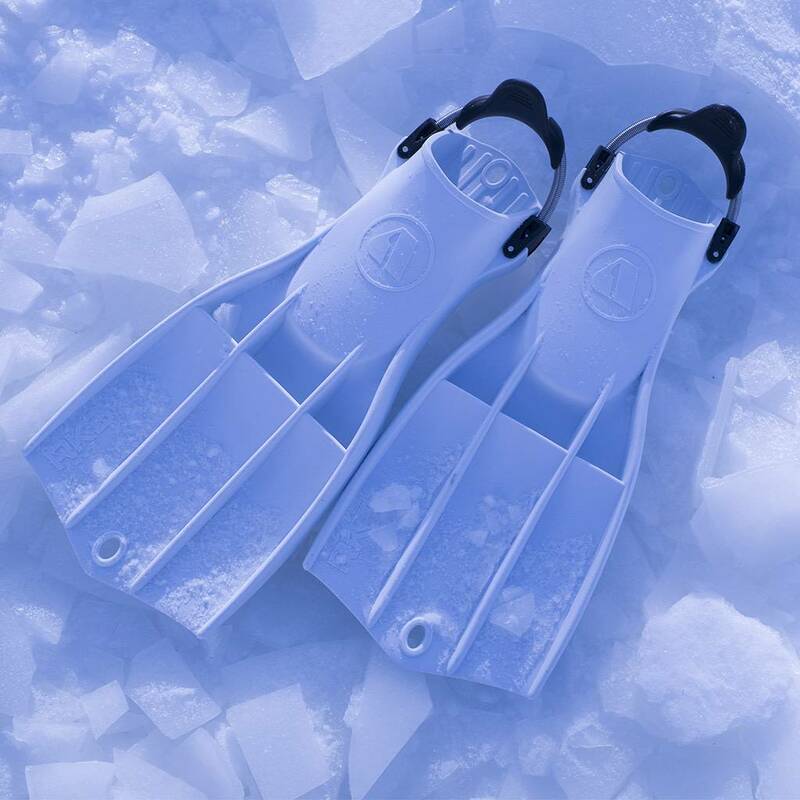 To me these are perfect with one tiny setback - they are just a little light for drysuit diving, when my feet tend to float I would need about a 1 pound weight on each foot. that's it !